President Donald Trump will not sign a stop-gap spending bill unless his proposed border wall on the US-Mexico border is funded, House Speaker Paul Ryan said on Thursday, upping the likelihood of a partial government shutdown, the Independent reported. The stop-gap spending bill, legislation that will temporarily fund the government until 8 February, was approved by the Senate. 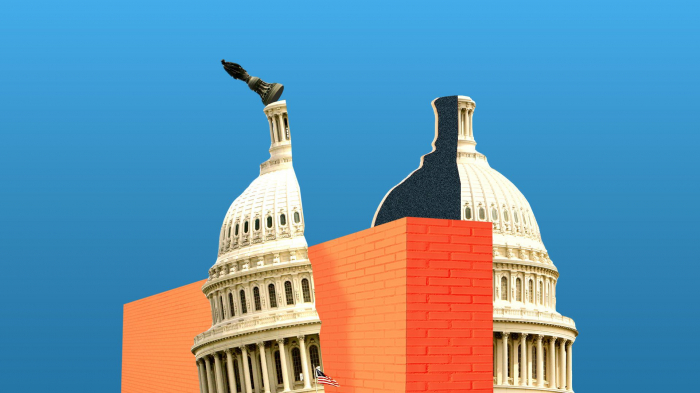 However a new bill that does include the $5bn Mr Trump wants for his wall, which is being discussed in the House of Representatives, will likely not pass the Senate. Mr Trump will not sign a bill that does not grant him with his desired border security measures. “We urgently need funding for border security and that includes a wall,” White House press secretary Sarah Huckabee Sanders said in a statement released Thursday. If the House and Senate fail to pass one bill, or the White House fails to accept any resolution from Congress before the Friday Midnight deadline, the government will go into a shutdown. Nine agencies, which makeup a quarter of the US government, will be forced to shut down. In addition, more than 420,000 federal employees in “essential” positions—correctional officers, Border Patrol agents, and Weather Service forecasters, to name a few—will have to work without pay. More than 380,000 workers will also be furloughed, meaning that they will not be able to work and receive pay until their agencies are funded. The New York Times reported that more than 95 per cent of employees at the Department of Housing and Urban Development, as well as, the National Aeronautics and Space Administration will be furloughed. For the Department of Commerce, the figure is 86 per cent,or roughly 41,000 people, and the Internal Revenue Service will have 52,000 employees furloughed. Which nine government agencies will be shutdown? The Department of Treasury, Agriculture, Interior, State, Homeland Security, Housing and Urban Development, Transportation, Commerce and Justice. The Department of Homeland Security will suffer the most from a government shutdown since 90 per cent of its employees are deemed “essential.” This means that, according to the New York Times, nearly 54,000 Customs and Border Protection agents, 42,000 Coast Guard employees, and 53,000 Transportation Security Administration agents will be forced to work without pay, including aviation, air traffic controllers and railroad safety inspectors. Under the Justice Department, almost 17,000 correctional officers, 14,000 FBI agents, and 4,000 Drug Enforcement Administration agents will be forced into unpaid work over the holiday season. What agencies are NOT affected by the shutdown? The Departments of Labour, Energy, Defence, Health and Human Services, Education, Veteran Affairs, and Congress won’t be affected by the shutdown. Earlier this year, Congress passed five spending bills—providing almost $900 billion of the $1.2 trillion in federal agency operation expenses, according to the Times—to keep the aforementioned departments funded. What happens to national parks? National parks will close during a shutdown. Since the Department of Interior will lack funding, every single one of the country’s 58 national parks will also shutdown during the holidays. For visitors in Washington D.C., the nation’s capital, the National Zoo, the National Gallery of Art, the National Archives, and the Smithsonian museum will also be closed. Will I still be able to get my mail? Yes. The US Postal Service does not rely on federal appropriations for its daily operations. You will still be able to get your junk mail.